Meet Sven at Seattle Humane today! Photo courtesy of Seattle Humane. With input from our friends at Seattle Humane we are featuring cat that needs a loving home. 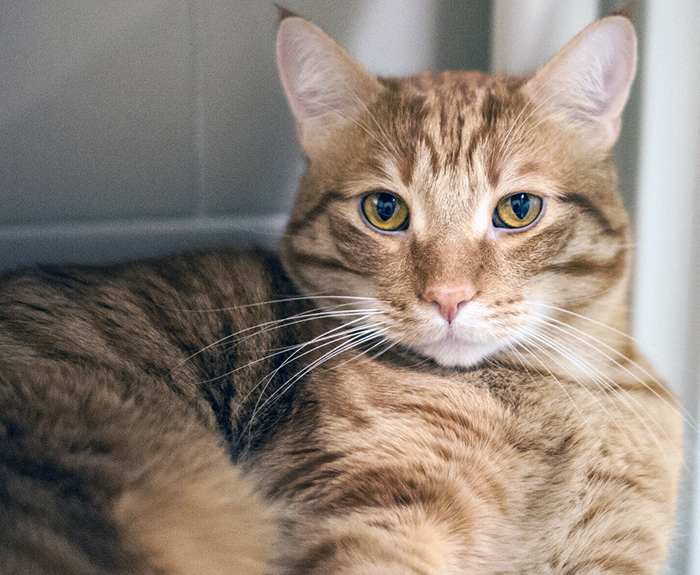 Meet Sven, a handsome and active two-year-old orange tabby. Sven loves his scratching posts, window perches, interactive feed toys, and playtime. One of his favorite games is fetch. Yes, really! Though Sven likes being petted, he’ll let you know when he's had enough of that and it’s time to get back to playing. Sven loves people, but not so much other cats. He would do best in a home without other kitties to vie for attention. Because of Sven's high level of activity, he would prefer a home with cat-savvy adults and teens. He would not as much appreciate the company of small children. Come meet Sven today at Seattle Humane! We promise he'll keep you entertained with his antics! All of our cats go home spayed or neutered, microchipped, and vaccinated. Each pet will go home with a certificate for a complimentary veterinary examination and an identification tag. PLUS, most cat adoptions include 30 days of pet insurance from Trupanion – a great way to start off on the right paw! Seattle Humane is located at 13212 SE Eastgate Way, Bellevue, WA 98005.